As a resident of Minnesota, you must provide proof of residency when applying for a resident’s commercial fishing license. The Department of Natural Resources only accepts two types of proof: an MN driver’s license or a Minnesota Public Safety ID. One of these credentials, and payment for the specific kind of commercial resident fishing license, must be taken to the DNR Central Office at 500 Lafayette Road, St. Paul, MN 55155-4040. A fisherman cannot get a commercial fishing license online, over the phone or by any other means. Applications for a commercial fishing permit must be approved by the Department of Natural Resources, with the exception of netting licenses for Lake Superior, which provide pre-applications to all applicants. If your submission is approved, your new commercial fishing permit will last from March of the current year to March of the following year, when it is time for fishing license renewal. In addition, you are allowed to list one licensed individual as an apprentice when filing your application. As a resident of Minnesota, you must provide proof of residency when applying for a resident's commercial fishing license. The Department of Natural Resources only accepts two types of proof: an MN driver's license or a Minnesota Public Safety ID. One of these credentials, and payment for the specific kind of commercial resident fishing license, must be taken to the DNR Central Office at 500 Lafayette Road, St. Paul, MN 55155-4040. A fisherman cannot get a commercial fishing license online, over the phone or by any other means. Fish buying for retail (international). Fish buying for retail in Lake Superior. Fish buying for wholesale (international). While there are fewer options available to commercial fishermen with out-of-state fishing licenses, one advantage is that you are not required to live in Minnesota for a period of 60 days in order to establish residency, obtain an MN driver’s license or Public Safety ID and buy a commercial license as a member of the state. Fees for fishing licenses vary based on the credential in question. To learn more about commercial licenses for nonresidents, check out our useful guide. Standard fishing licenses for residents and nonresidents of Minnesota can be obtained in a number of ways. You can purchase them online via the Electronic License System, in person with a local License Agent, by phone 24 hours a day, seven days a week and occasionally by mail. A commercial fishing license, however, is not so easily attainable. There is only one way to buy a commercial fishing license in Minnesota, and that is by going in person to the Department of Natural Resources Central Office at 500 Lafayette Road, St. Paul, MN 55155-4040. The same goes for replacing a license to fish commercially. Rather than visit a License Agent nearby or log on to the Internet to fill out an application online, you must go in person to the DNR Central Office. For more information on how to get a fishing license replacement, check out the section in our Fishing License Guide. In the state of Minnesota, commercial fishing licenses are issued annually. However, if you would like to fish recreationally outside of the open season for commercial fishing, the MN Department of Natural Resources provides the option to do so with a lifetime fishing license. Available to both residents and nonresidents, there is a wide variety of lifetime credentials to choose from. These include an overall license to fish, a spearing-specific lifetime license, one for angling and spearing and more. Minnesota fishing license fees vary depending on the desired credentials. One thing to remember about buying fishing licenses that do not expire is that they must still be renewed every year. The good news is that fishing license renewal comes free of charge and can be completed online, in person or by phone. This is simply necessary for the DNR to keep track of their licensees and distribute important materials and information whenever necessary. The Minnesota Department of Natural Resources does not have age limits for the distribution of commercial fishing licenses. However, given the often rigorous tasks associated with the profession, the DNR may take up to four weeks to determine whether or not a given individual will receive the license to fish commercially within the state. The good news is that the application process is simple. In order to buy a commercial fishing license in Minnesota, one must fill out the specific resident or nonresident commercial application (based on their status). As a senior, if you would like to net fish with a Lake Superior commercial fishing license, you will receive a pre-application as well. Then, once all applications are completed and sent in, the Department of Natural Resources section of fisheries will approve or deny the submission. If you are denied the right to fish commercially, this is the end of the road, but if your application is accepted, you will be charged the full value of the desired fishing license. If you are veteran or a current member of the military, obtaining a commercial fishing license requires you to follow the same procedures as civilians do. An application must be submitted for approval by the Minnesota Department of Natural Resources, and if approved, payment must be provided for the specific kind of fishing license desired. However, the process for getting a fishing license that is recreational has been made much easier for those in the military. First of all, any military member can receive a resident fishing license if they are stationed in Minnesota. These individuals do not need to establish residency first. Also, MN veterans with a 100 percent service-related disability are eligible for a permanent fishing license from the DNR. Furthermore, some military individuals are exempt from licensing requirements. 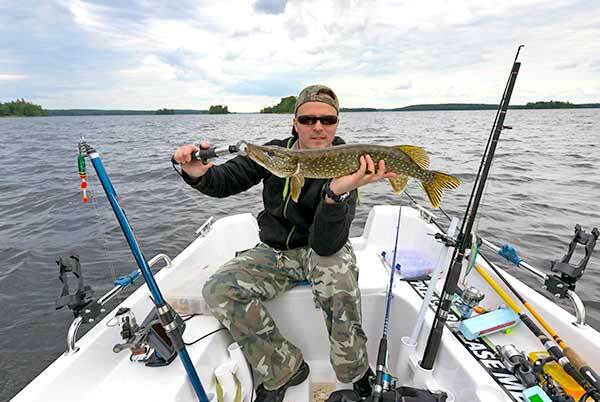 VA patients with written consent, Minnesota military members who are home on leave, and those who have been on active duty outside the US for the previous two years do not need to buy a fishing license to fish.